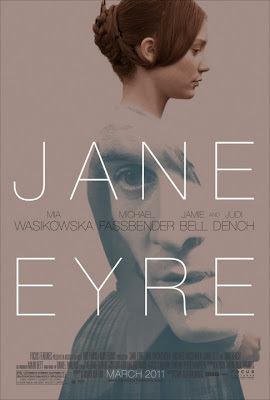 Jane Eyre will be released on March 11, 2011 and here is a first look at the movie poster. It must have been hard work to make two lovely people look regular for this film. I can't wait to see it. The poster looks haunting and mysterious. Michael Fassbender and Mia Wasikowska will bring new Charlotte Brontë fans on board with this adaptation by director Cary Fukunaga.